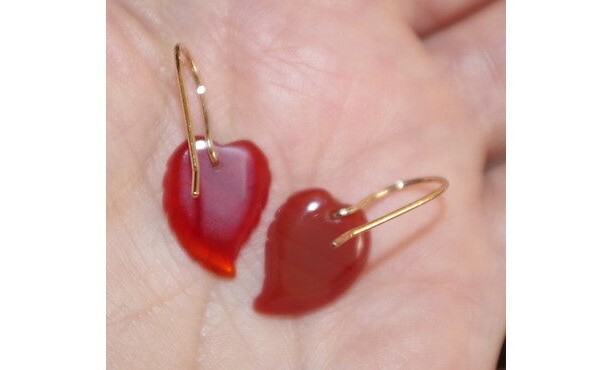 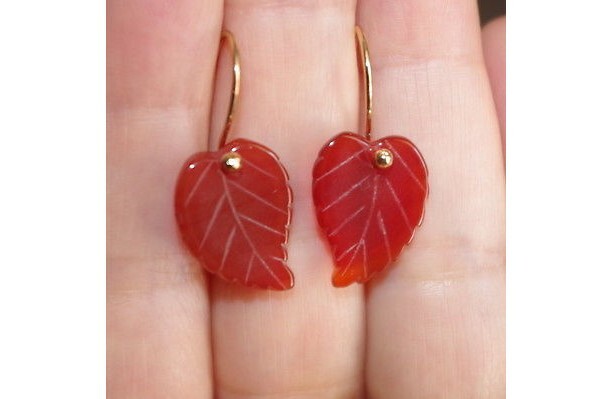 VINTAGE ORGEOUS 14K CARVED LEAF CARNELIAN LEVER BACK EARRINGS AA BEAUTIFUL TRANSLUCENT COLOR GEM QUALITY VINTAGE LEAF CARVED CARNELIAN EARRINGS ANTIQUE A++ CARNELIAN DIAMETER OF CARNELIAN: 12 MM X 17 MM FROM TOP TO BOTTOM 27 MM 2.1 GRAMS. 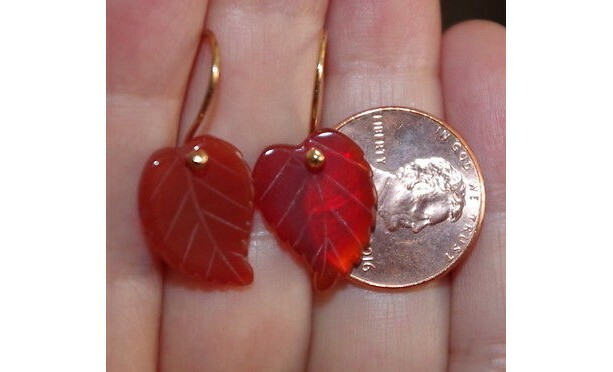 THESE ARE PERFECT SIZE CARVED LEAF CARNELIANS. 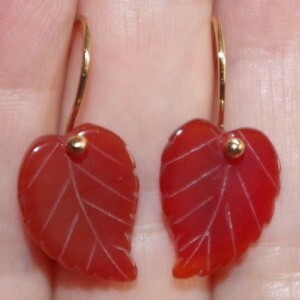 YOU WILL LOVE WEARING IT. 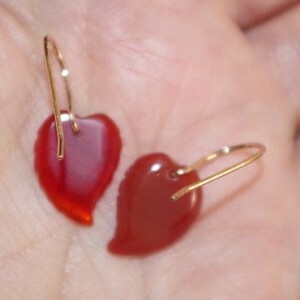 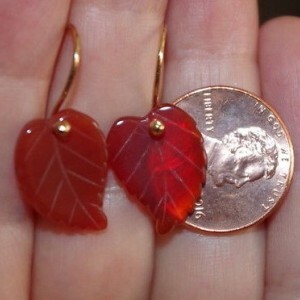 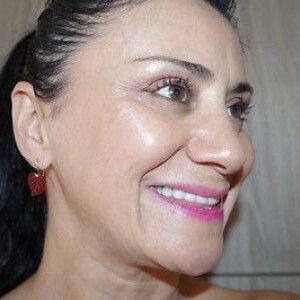 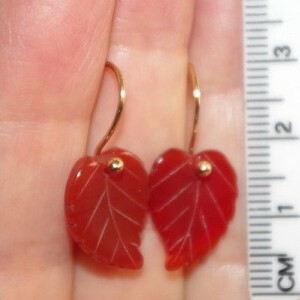 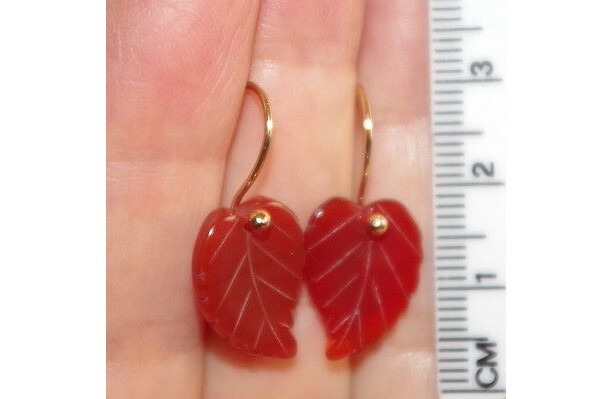 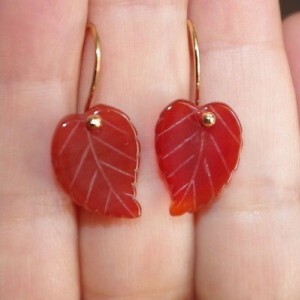 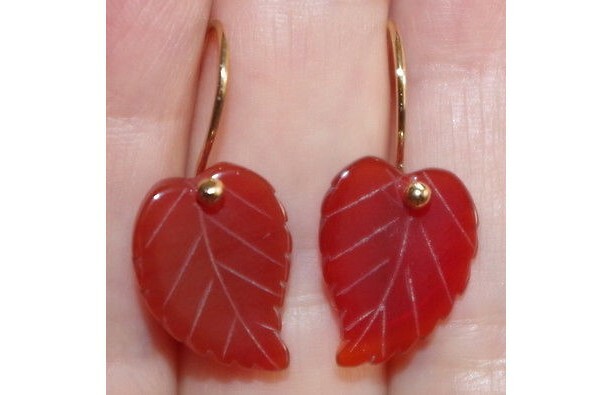 BEAUTIFUL TRANSLUCENT COLOR GEM QUALITY ANTIQUE LEAF CARVED CARNELIAN EARRINGS DIAMETER OF CARNELIAN: 17 MM X 14MM FROM TOP TO BOTTOM 18 MM 2.7 GRAMS.